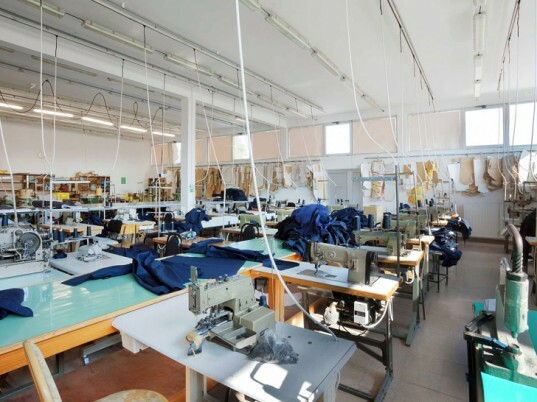 While New York City's Garment District battles massive real-estate pushes and a dearth of designers choosing to manufacture domestically, one woman is spearheading a mission to transform U.S. production into the most affordable, innovative option for all. Bob Bland, a Brooklyn-based fashion designer, entrepreneur, and community art advocate stands at the helm of Manufacture New York, a nonprofit fashion incubator dedicated to mentoring the next generation of American designers. Currently raising funds through Kickstarter—it held a launch party on Monday night—Manufacture New York hopes to muster at least $50,000 to establish a physical presence, complete with a fully equipped sampling room, classrooms, private studios for rent, and a state-of-the-art computer lab. Bland also envisions a dedicated area for experimenting with environmentally-friendly fabric washes, dyes, finishes and special textile applications. “We want to increase public awareness of exactly how clothes are made and provide both consumers and designers with an alternative to outsourcing,” she tells Ecouterre. Once the goal is met, the money will go directly to acquiring an industrial space, with an initial buildout slated for spring. 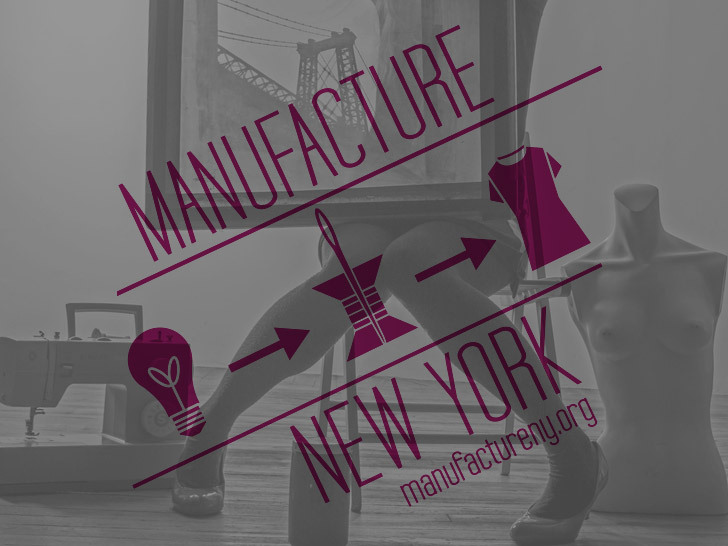 Manufacture New York wants to increase public awareness of exactly how clothes are made. We caught up with Bland to learn about Manufacture New York’s genesis, the myriad challenges facing young and emerging designers in America today, and how U.S. apparel companies can become more self-reliant. What will you provide that the New York Garment District is not? In the past two decades, the United States has lost 80 percent of its apparel manufacturing jobs, and the decline of the Garment District in NYC is a visible sign of these crippling losses. With rising rents and continued calls for rezoning, it’s not practical for manufacturers or designers to rely on the Garment District as it is. We now have a unique opportunity to bring together all the talent, experience and creativity of the fashion industry in another centralized location and redesign it to reflect the needs of up-and-coming designers. In the past two decades, the United States has lost 80 percent of its apparel manufacturing jobs. We see you’re providing “environmentally friendly” washes and dyeing. How much emphasis are you putting on the sustainable aspects of manufacturing. There’s great interest in sustainable and eco-friendly fabrics, dyeing, and printing processes among our participating designers. Manufacture New York will have a sourcing manager who can research options like recycled fabrics, bamboo, vegan/upcycled leather, etc. We’ll offer nontoxic and water-based printing and dyeing options, too. One of the great perks of producing locally is we can concentrate more of our time and resources on innovation. What’s the biggest challenge for budding designers today in terms of production? The biggest hurdle for emerging designers is finding manufacturers who are willing to a) accept small orders and b) not charge them a prohibitively expensive premium. For example, if production minimums are 24 pieces per style per fabric, and you only have orders for 15 pieces, you might be asked to pay the sample price or piggyback on a bigger label’s order (which will delay production). It’s hard to determine lead times for buyers. Are you seeing a shift toward manufacturing in the United States? The recession was a wake up call for Americans that we need to be more self-reliant. NYC fashion designers have always been a resilient bunch, so we are perfectly suited to help lead the charge. 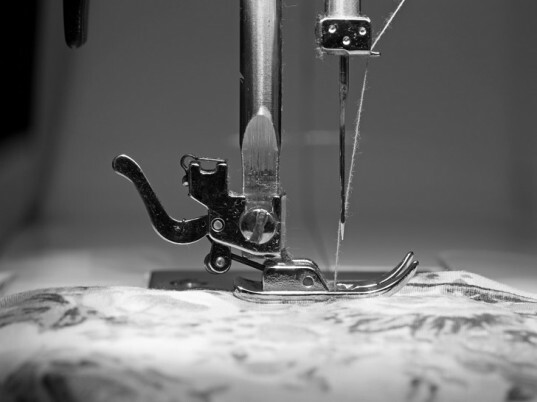 Manufacture New York will help organize and facilitate the reemergence of [domestic] apparel-manufacturing and, once we have perfected the model we can spread it to other cities throughout the U.S. In every vibrant design community, facilities should exist to affordably and efficiently make their product. Demand for affordable, consistent local production is high, yet we continue to lose jobs to overseas factories. Why is Manufacture New York necessary to the independent design scene? Manufacture New York is necessary because there’s not enough support for emerging designers from the industry itself, and our greatest advocates have always been our customers. Creating inspiring, fashion-forward pieces for our fans is what drives us even when producing another collection in NYC seems impossible. We need to join together as a community of independent fashion creatives, engage the public and use our collective voice to resurrect apparel manufacturing for a new generation. Demand for affordable, consistent local production is high, and yet we continue to lose jobs to overseas factories that are facing worker unrest and a desire for higher wages themselves. We need a unified effort to support small, established fashion labels and bring back manufacturing jobs to New York. Bravo! The political energy machines should take notice to this information and wage war on outsoursing industry and keep it in the USA. Bland also envisions a dedicated area for experimenting with environmentally-friendly fabric washes, dyes, finishes and special textile applications. “We want to increase public awareness of exactly how clothes are made and provide both consumers and designers with an alternative to outsourcing," she tells Ecouterre. Once the goal is met, the money will go directly to acquiring an industrial space, with an initial buildout slated for spring. Manufacture New York will have a sourcing manager who can research options such as recycled fabrics, bamboo, and vegan/upcycled leather, as well as nontoxic and water-based prints and dyes. Demand for affordable, consistent local production is high, yet we continue to lose jobs to overseas factories that are facing worker unrest and their own battles for higher wages. "We need a unified effort to support small, established fashion labels and bring back manufacturing jobs to New York," she adds.